Jersey Integrative Health & Wellness (Pompton Plains) - Book Appointment Online! 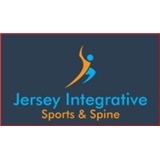 Jersey Integrative Health & Wellness is the leading choice for Musculoskeletal/Sports Medicine, and Spine Care in the Northern New Jersey area. We provide a comprehensive evaluation process in order to deliver personalized, innovative care that helps you achieve your desired goals, and help you rebound from injury. We employ a comprehensive, team approach, consisting of the treating physician, physical therapists, chiropractic physicians, referring physicians...but most importantly, YOU! At Jersey Integrative Health & Wellness, we believe it doesn't HAVE to be a pain, to get RELIEF!! Finding a and all-around a plus primary care physician is very difficult these days. Dr. Suarez thoroughly listened to everything I had to say from my medical history to my current concerns assisting in starting the journey of a proper diagnosis for my abdominal pain that I have suffered from for many years. I am very much looking forward to seeing him going forward for all of my health needs.